Sadly The Albany Centre funding application has been turned down! Further information to follow, but the initial reason given is that, although our application for money is sound and worthy, they just ran out of money this time around. Despite being turned down for funding this time around, work has begun to repair the roof of The Albany Centre. This much needed work will be completed before the winter rains begin and will allow the space to remain open and stop further water damage being done. No more buckets to empty - hurrah! 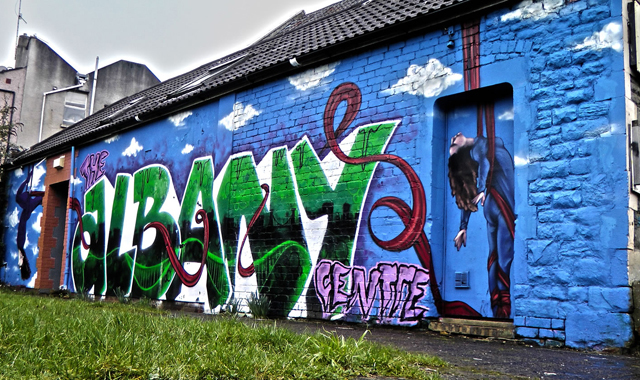 The Albany Centre is an artist run community space dedicated to the rehearsal of circus and street theatre. Situated in the Montpelier area of Bristol, the Centre is sited in an old Methodist Church. The high vaulted ceiling makes this an ideal space for aerial equipment.